“In Spain,” wrote the poet Federico García Lorca, “the dead are more alive than the dead of any other country in the world.” García Lorca was writing in 1933; only three years later, he was assassinated by a militia supporting Gen. Francisco Franco’s fascist uprising, only a month into the Spanish Civil War. Despite extensive detective work, excavations and even recent DNA tests of his relatives, García Lorca’s remains have never been found, and he has never been given a proper burial. In this at least, he is not alone. It is thought that at least 114,000 victims of fascist death squads remain missing or unidentified from the period of the civil war and the dictatorship that followed Franco’s victory in 1939. Most were political prisoners who supported the left-wing Popular Front government, executed under cover of darkness, then bundled into unmarked mass graves. In recent years, the clamor to acknowledge and commemorate Spain’s many ghosts has grown louder. 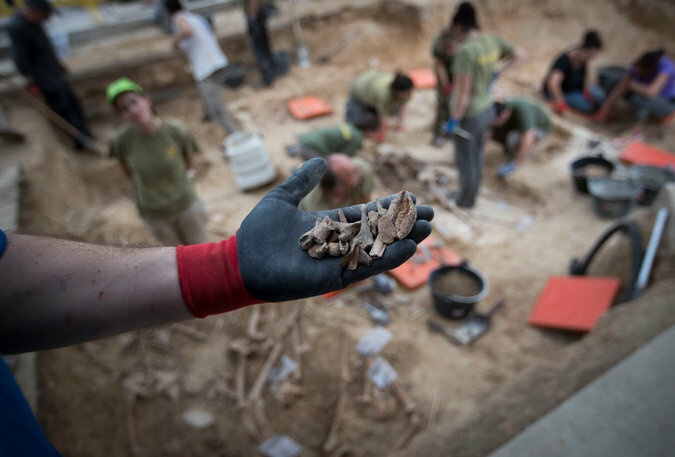 Last month, 50 bodies were excavated in the small town of Porreres on the Balearic island of Majorca, off the Spanish mainland — a full 80 years after their deaths. Most showed signs of having been shot in the head at close range. According to local historians, they were lined up alongside the wall of the town church before being executed. The passage of time, and the lack of records about the executions, makes both finding and identifying victims fiendishly difficult, although DNA testing will help in some cases. It is thought there are 47 such mass graves on Majorca alone. The excavation followed campaigning by a relatives’ group, the Memory Association of Majorca, and the passing of a law by the Balearic Islands’ regional parliament in May, which also funded the digging. Civil society, in particular, has taken up the cause, thanks to an absence of government support. Last month, Amnesty International started a campaign, Justice for Christmas, calling for the government to investigate mass graves. The citizen-driven historical memory movement came into being at the turn of the millennium, and as public pressure grew, the Spanish government under the center-left prime minister at the time, José Luis Rodríguez Zapatero, passed a “law of historical memory” in 2007, lending government support and funding to excavation, commemoration and reburial. Many on the right accused Mr. Zapatero of politicizing tragedy and reopening old wounds, while historical memory campaigners felt the legislation had been watered down. It may sound like a noble sentiment in isolation, but it is disingenuous. Spain is no more able to escape its past than any other country, and historical memory is not just an interest of Spain’s defeated left. Under Franco’s dictatorship, the winners in the civil war not only spent 36 years writing the history of their victory, teaching it in schools and enshrining it in popular culture, but also left exactly the kind of solemn monuments to their dead that have been denied to the missing 114,000. The most profound and awe-inspiring example of these is Franco’s final resting place, the Valley of the Fallen. It is a basilica topped by the largest memorial cross in the world, at nearly 500 feet high — and is the site of annual commemorations by the far right, dressed in fascist uniforms, on the anniversary of Franco’s death. As a new generation of fascists gains influence with governments from the United States to Hungary, it may be the source of some surprise that Spain has no equivalent to Greece’s Golden Dawn or France’s National Front, especially given the desperate and long-lasting effects of the economic crisis in Spain. In part the absence of a major contemporary Spanish far-right party is a legacy of the civil war and dictatorship, and the mass killings that ensued, which loom over the country to this day. In part — and this is the other reason Mr. Rajoy would prefer to look to the future — it is because the governing Popular Party absorbed much of the Francoist political machinery. The party’s founder, Manuel Fraga, had been a government minister under Franco. 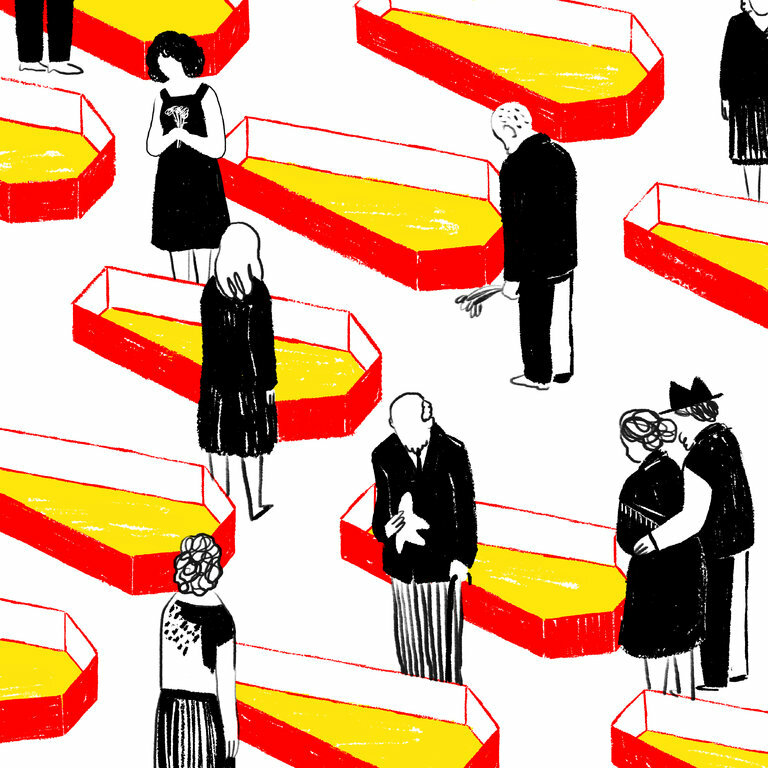 The fault lines over the mass graves run deep in Spanish politics and society. During the transition after Franco’s death in 1975, as Spain edged toward the re-establishment of democracy, the spirit of the age was enshrined in the political parties’ self-explanatory Pact of Forgetting. There was no reckoning, no equivalent of de-Nazification of the civil service, judiciary or security forces. To cement the spirit of top-down amnesia, a 1977 amnesty law prevents any legal proceedings into crimes committed during the civil war and the dictatorship; Spain would not enter into anything resembling a “truth and justice” commission. In doing so, Ms. Menéndez Pérez accused not just the United Nations committee, but great segments of Spanish civil society, and the descendants of hundreds of thousands of murdered Spaniards still searching for justice. Some local administrations have begun taking action in contravention of the government in Madrid (highlighting another Spanish tradition: the great tension between the capital and the regions). Following the Balearic Islands’ example, the Valencian regional government is now preparing the way to pass its own historical memory law and apportion funds for excavations. In April, Mr. Rajoy angered historical memory groups when he said on the popular TV program “Salvados” that he didn’t think there was anything his government could do to help. Soon he may not have much choice. He returned as prime minister in October, but with a slender minority government. The major center-left opposition parties in the Spanish Parliament, the Socialist Party and the new left-wing party Podemos, are planning to force the government to restore funding to the historical memory project nationwide in 2017. The dirt has been smoothed over in Majorca, but forgetting may not be possible for much longer.